Who remembers the Missionary Pal? In 1959 Keith Marston printed a brilliant little book titled, Missionary Pal: Reference guide for missionaries & teachers. 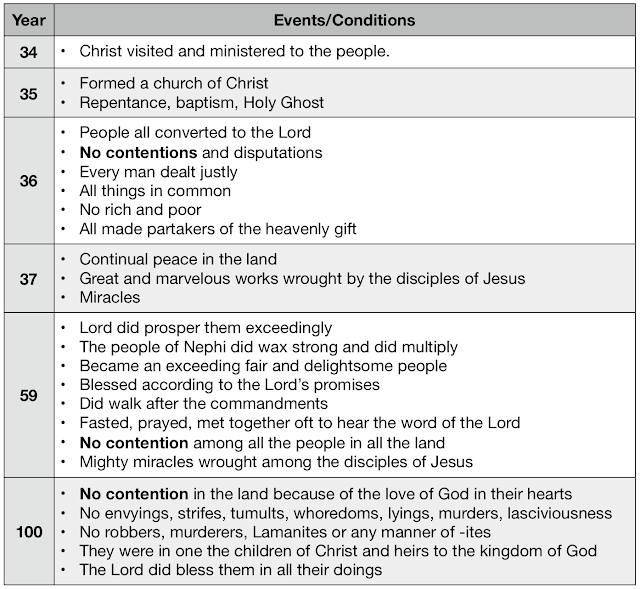 For decades this handy reference guide supported LDS missionaries in their sincere attempt to teach the Gospel of Jesus Christ, by providing scripture references, organized by topic. I was a big fan of the book on my mission. In 2017 the Lord offered a covenant unto His people and accepted the Restoration Scriptures as His Holy Word. At that time the new scriptures became the “rod of iron” from which we must not let go. (1 Nephi 2:8-9). 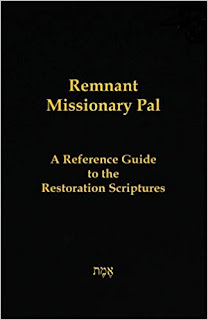 To assist with the transition into the Restoration Scriptures, and to support all who are working to live God’s covenant, the Remnant Missionary Pal has been compiled by a group of dedicated believers. Though I didn’t have the privilege of working on this volume, I applaud the efforts of all those who did. I think this is an excellent reference guide for the new scriptures, and I’m extremely happy to see it made available. The Joseph Smith Restoration Conference 2018 was a wonderful success. Many thanks to all who participated! Recordings of the speakers are now available at www.restorationconference.org. Therefore my people are gone into captivity, because they have no knowledge; and their honorable men are famished, and their multitude dried up with thirst. Therefore hell has enlarged herself and opened her mouth without measure, and their glory, and their multitude, and their pomp, and he that rejoices shall descend into it. We all, collectively and individually, have a problem with ignorance. If we must point to one thing that hinders our preparation for Zion more than all else, it is our meager education in the things of God. The Glory of God is intelligence, or in other words, light and truth. (T&C 93:11). Since the Glory of the Lord will be the hallmark of Zion, (T&C 31:14) those who lack such Glory will surely not be able to come into it (Isaiah 18:6, OC). All who dwell in Zion will know the Lord (T&C 158:15) and not merely know about Him. We claim to want Zion so badly, and yet we know almost nothing about it. We don’t even have the tools, in our present state, to begin to understand Zion’s economy (or lack thereof), social order, relationships, work ethic, infrastructure, communication, human interaction, culture, heavenly connections, manners, habits, customs, salutations, or nearly anything else about it. We have some platitudinal references to ideas like no poor, dwelling in righteousness, and being of one heart and one mind, and though we understand those words, we have little idea what they truly represent. But before we try to understand Zion (which will take much more knowledge than we currently have) perhaps we should start with trying to understand some basics. Our greatest sin is ignorance, and it will remain so until we intentionally overcome our ignorance by faith, study, and divine tutoring. We must become competent in the things that God has already made available to us, or remain unprepared to dwell together in holiness. In the Answer to Prayer for Covenant, the Lord said, “I desire to heal you from an awful state of blindness so that you may see clearly my will, to do it.” (T&C 157:16) This was spoken to people to whom the Lord offered His covenant. The fact that He yet describes our state as “an awful state of blindness” should give us serious reflection. Admitting and embracing our blindness will bring the humility to seek and receive truth from Him. The opposite—pridefully assuming we have superior knowledge and understanding, and are therefore prepared for Zion—will only bring condemnation. How vigorously are you pursuing truth? Are you searching the scriptures and attempting to plumb the depths of what God has already given? Do you study with care, or merely read? 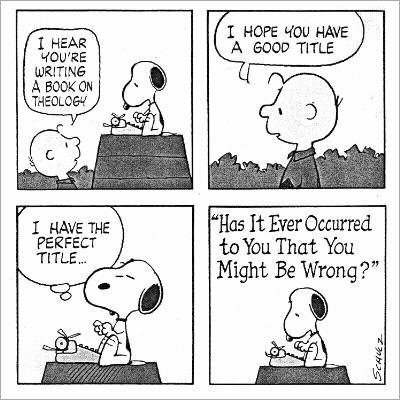 Do you hope to receive more scripture without wringing out all the truth you can from what has already been given? Are you anxiously engaged in this good cause? Doing many things of your own free will? Bringing to pass much righteousness? (T&C 45:6) Are you seeking and receiving answers from God to questions regarding scripture? Where can you obtain truth that will cure your blindness and allow you to see aright? Can it all be done in one step? 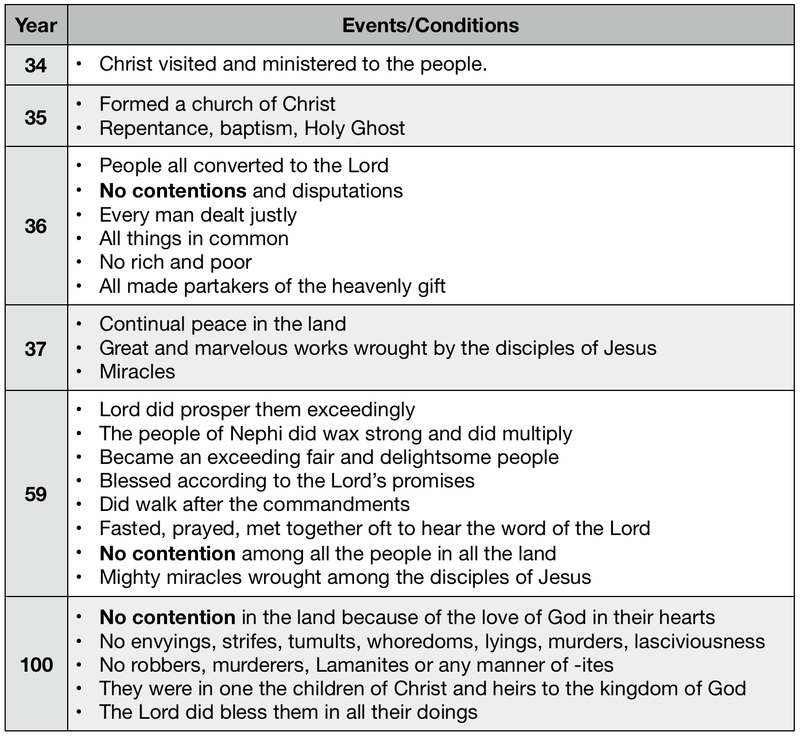 I count at least four contacts with the Lord in this example, before the man was able to see clearly. Is there symbolism in our Lord’s ministry to the blind man that required multiple steps and multiple contacts with the Lord before the man could see properly? What might we learn from the Lord first leading the man by the hand and taking him out of the town? What about spitting upon his eyes, and putting his hands on him before the man’s vision was even partially restored? And what about putting His hands on the man’s eyes again, and making the man “look up?” There is great symbolism here, describing the cure for blindness. All of us suffer from ignorance, and we all share an inner yearning for the Glory of God, which is light and truth. (T&C 93:11) Yet we also bear a heritage and traditions that teach us not to inquire, or to confine our inquiries to men in authority, rather than studying and inquiring of the Lord. Consequently, we tend to waste our curiosity on fruitless pursuits, uninformed teachers, online chats with similarly ignorant people, sharing unstudied opinions, and seeking truth where it can’t be found. Our heritage of ignorance is the reason current anti-Mormon efforts are meeting such tremendous success among faithful LDS people. When confronted with information they have never studied, do not understand, and cannot put into context, the too-frequent response is to reject Joseph Smith, the restoration, the scriptures, the gospel itself, and even the Lord. Many deal with their manifest ignorance and cognitive dissonance by throwing out all religion and becoming atheists. The LDS church is of no help, even to honest seekers, as it continues to misrepresent its history, doctrine and scripture, while insisting those with questions only seek answers from “approved” sources that offer no help. For too many of us, this is our heritage, and it needs to come to an end. If you want to overcome your ignorance, you hunger and thirst, read, pray, fast, seek and search. It is labor, to be sure. It is sacrifice. The Lord is ever willing to lead, guide and inform. He is first, and foremost, a teacher. But few are interested in His lessons, and even fewer are willing to do the homework required. Never in history has more light and truth been so readily available, with so few willing to search it out. The Lord has been unbelievably generous in the outpouring of knowledge and truth He’s recently revealed. It’s hard to overstate the abundance of what has been given. It is, of course, undeserved on our part, but so is all grace. Just as the Book of Mormon was given to try our faith before more will be given (3 Nephi 12:1 NC), I believe our use of the current records and revelations similarly reveals our hearts and determines when, and if, more is given. Regardless of our response, we are left without excuse. Should we remain ignorant, it will be entirely our fault. None will have standing to accuse the Lord. I once knew a wonderful woman on my mission who was the backbone of the ward. A lifelong member of the LDS church, she faithfully served as Relief Society President and carried much of the weight in the ward, despite being in her 60’s. I thought she was a tremendous example of service. I was flabbergasted. I had to pick my jaw up from off the floor. Being young and idealistic, and full of that missionary zeal, I simply couldn’t comprehend that a lifelong church member in her sixties, the backbone of the ward, the Relief Society President, had never read the Book of Mormon. And I further couldn’t compute how she could say she “knew” it was true. I’ve grown up a bit since then, and lost my idealism. I’ve been around enough to see that abject scriptural ignorance is more the rule than the exception, even among so-called church leaders. It is our unfortunate heritage. Because a similar level of ignorance yet persists among many of us who seek to labor in the Lord’s vineyard. “Awful blindness,” indeed. The Lord equates ignoring his servants with trampling Him under your feet. I identify especially with blind Bartimaeus, the beggar of Jericho, because I happen to live on Jericho Road, and I consider myself a blind beggar before the Lord. Just as with the blind man of Bethsaida, I find a great deal of symbolism in the process of this man’s healing. He cried out, and cried out all the more when attempts were made to silence him. He responded to the Lord’s call, cast away his garment, arose, and came unto Christ. He spoke with the Lord, implored for the ability to see, and was made whole. Jesus, the Son of David, has mercy on us, and both the desire and power to heal us of our awful state of blindness. But we must take the steps required. He calls us and patiently waits. We yearn for the day of gathering, and hope to be gathered into the Holy City. We wait on the Lord for that to take place, not realizing it is already taking place. It’s not a physical gathering—not yet. Attempts to physically gather are foolish until there are enough prepared people to gather together and not fail. The angels, not us, will appoint who participates in that gathering. No, the gathering currently underway is one of knowledge. Those who will pay the price in study, prayer and sacrifice, to become competent in the things of God, are gathered by virtue of their understanding, into a group of those prepared for what comes next. The Lord knows who has obtained light and truth and who has not. His angels are taking careful note of those who are beginning to see. On the next day after, John stood beside two of his followers, and noticing Jesus as he walked nearby, he said to the two others, Behold the Sacrificial Lamb of God! And these two who had followed John, when they heard that testimony, followed after Jesus. Then Jesus turned, and saw them following him, and asked, What do you want? They called him, Rabbi (which means acknowledged teacher), and asked, How can we understand the truth and advance? He replied, All men move upward by gaining light. If you advance you will learn to be like me. And these two went with him and were taught, and were his companions through that day, for it was mid-afternoon.